This image is not derived from the blurred hechsher in the label below. 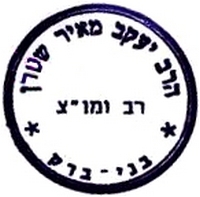 It was copied from a hand-written document signed by Rabbi Yaakov Meir Stern where it was a 'rubber-stamp' overprint. The two hechsher versions appear to differ significantly only in the heaviness of the print. 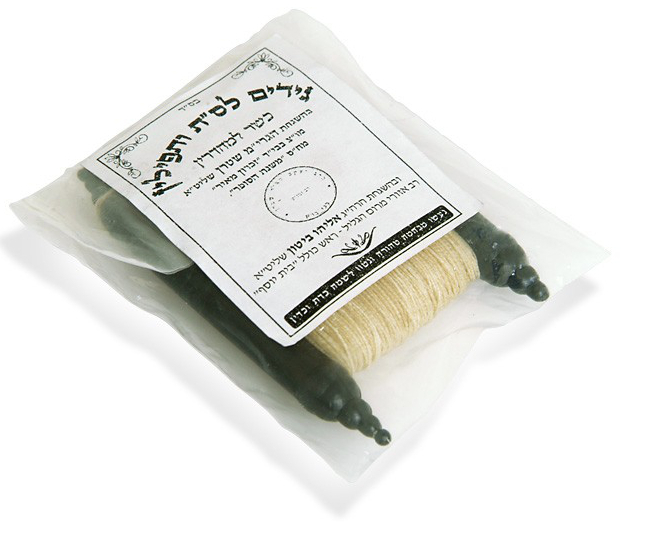 Source: gidim package from Merkaz HaSofrim, Brooklyn, NY, U.S.A. The words on the circular hechsher are barely recognisable at this size and completely unreadable under magnification. However, the words at the 6 o'clock position appear to be Bnei Brak.